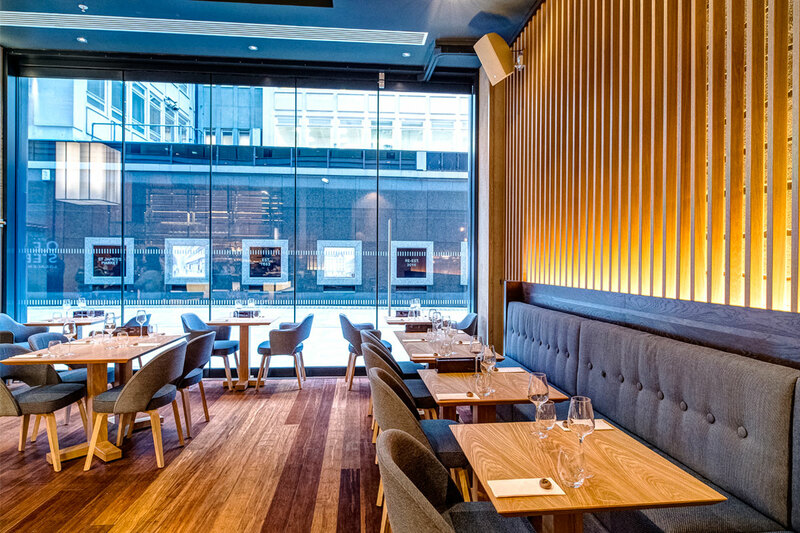 Gold Winner of A Design Award, Silver and Bronze Winner of the International design Awards. 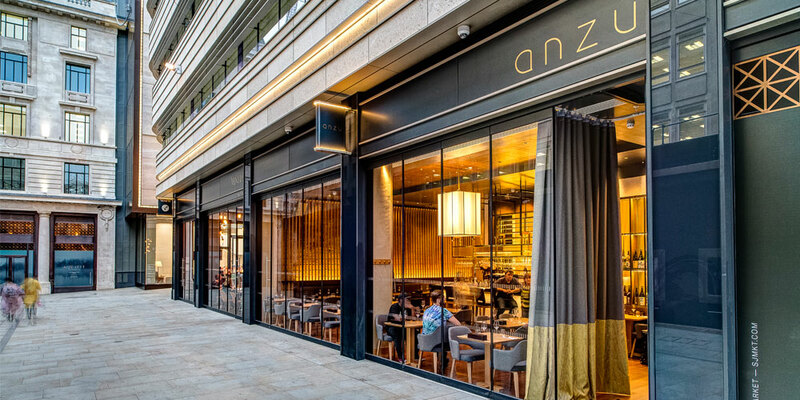 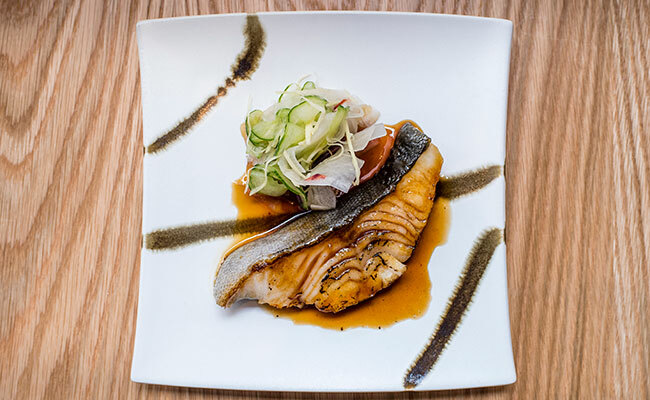 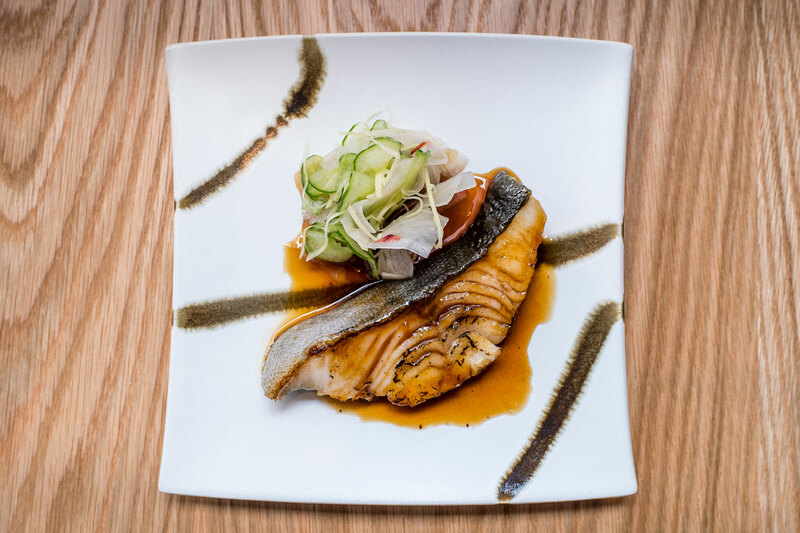 Richard Vines of Bloomberg named Anzu one of the best London restaurants to open. 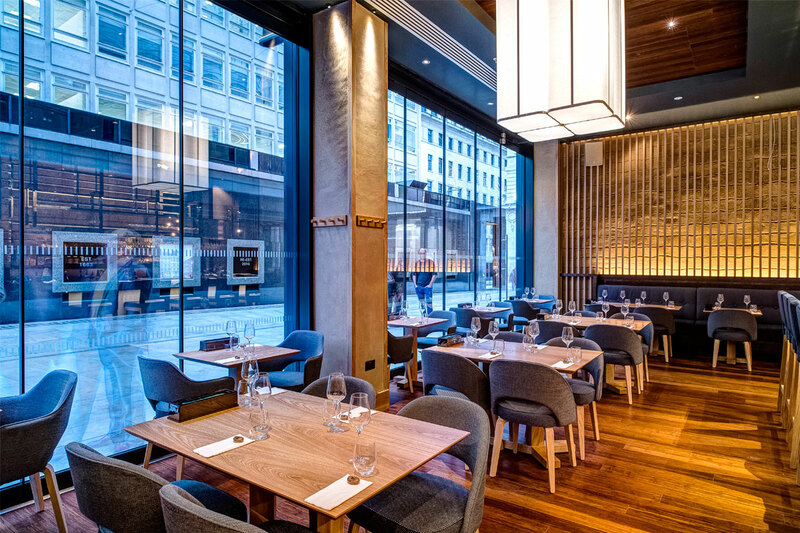 Richard Vines of Bloomberg named it one of the best London restaurants to open in 2016. 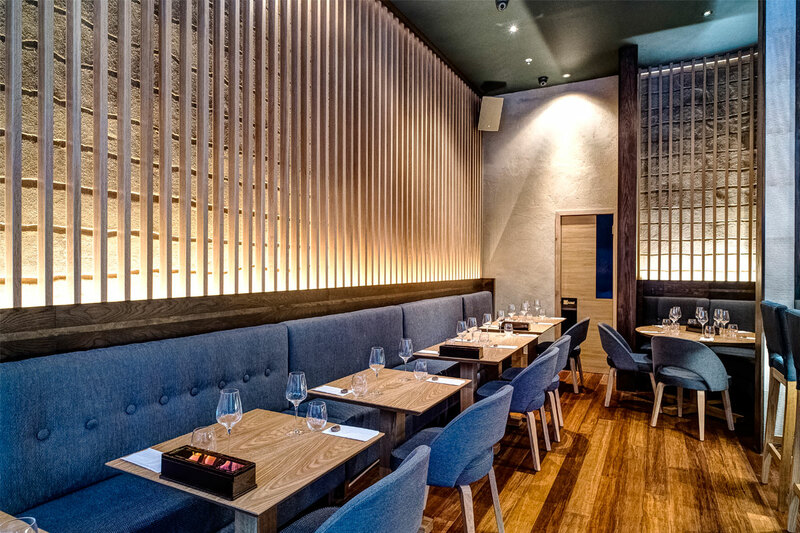 Anzu’s interior design was based on uniting two very different teaching of Japanese aesthetics; Shinto and Mayabi. 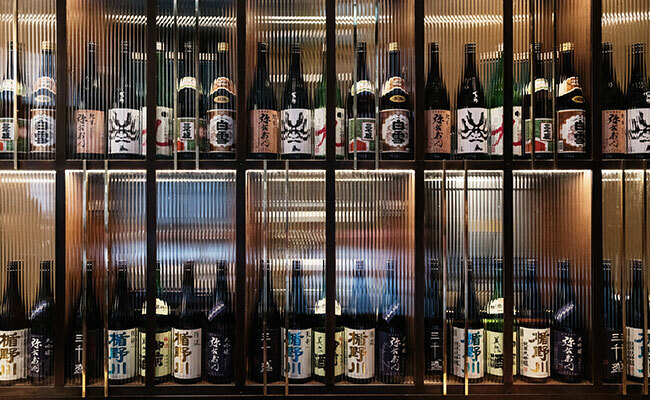 Whilst Shinto celebrates wholeness in nature and character, Mayabi applauds polished manners and elimination of roughness and crudity so as to achieve the highest grace. 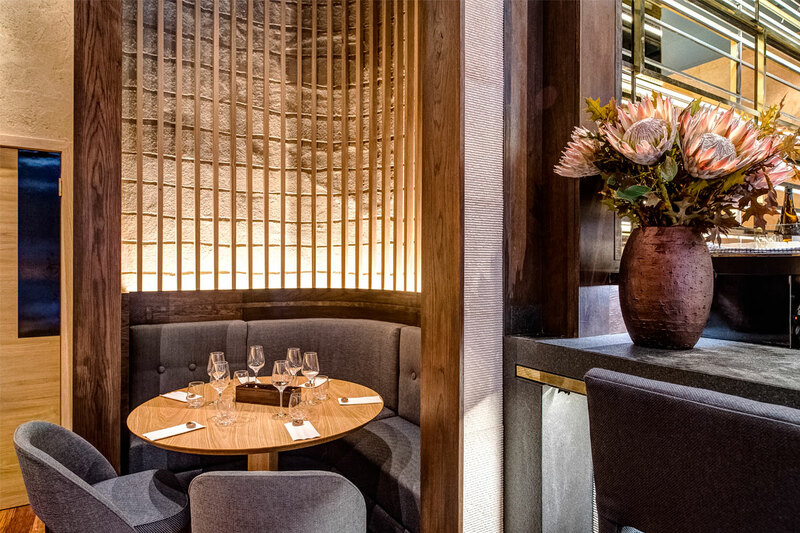 These two philosophies are evident in materials used throughout the interior. 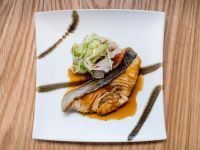 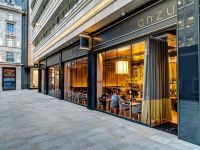 Tonkotsu have already made their presence known to Londoners with the lip-smacking creamy ramen, typical in Kyushu Japan, and at Anzu, customers are able to sample the pinnacle of Japanese cuisine set in the historic St. Jamese's conservation area of London. 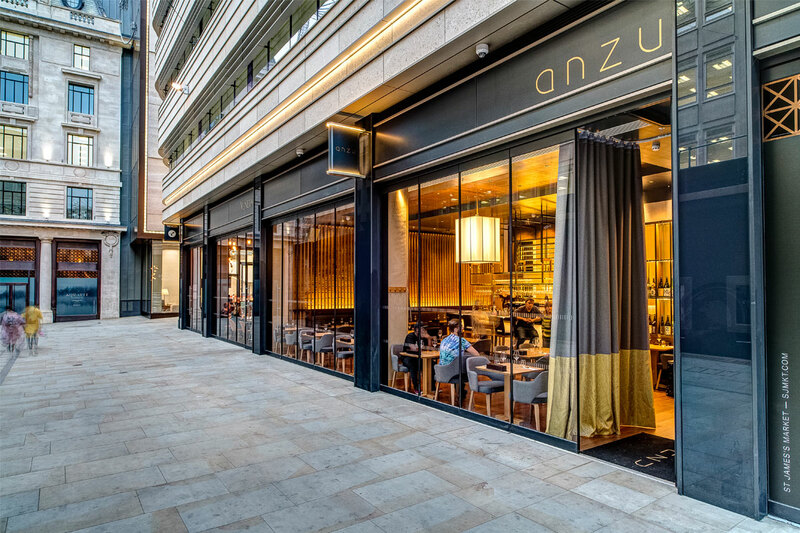 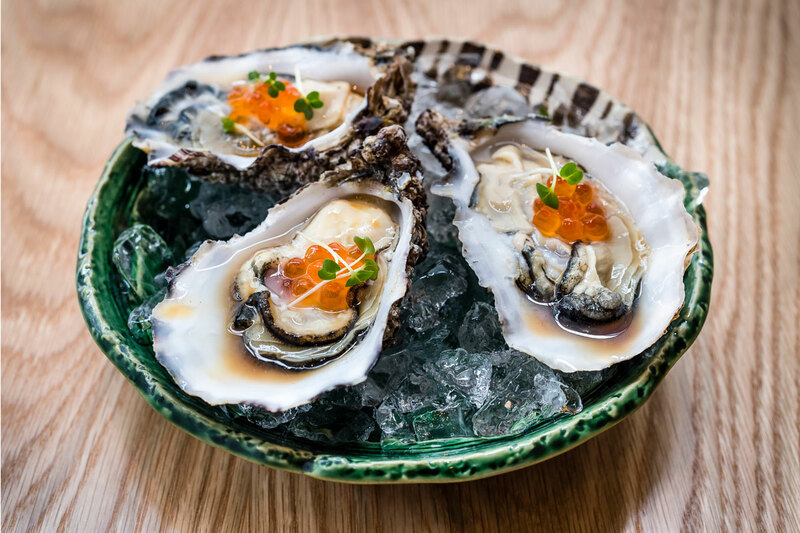 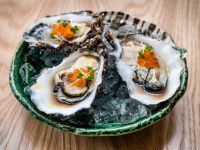 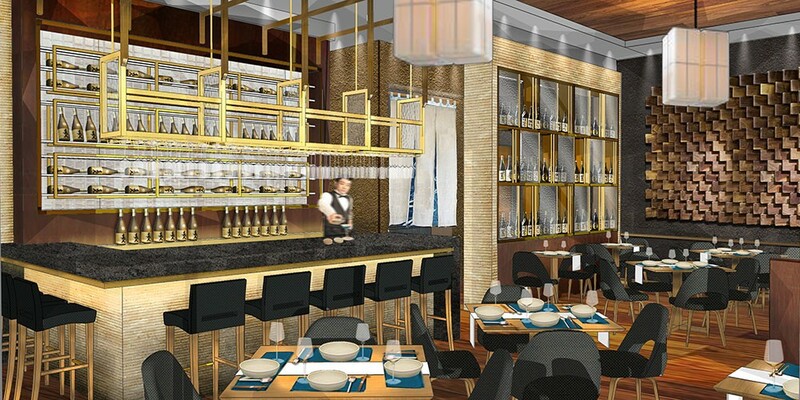 Anzu’s interior is the brainchild of Blenheim Design, who’s concept secured the highly sought-after Norris Street location within the new St James’ Market development which will bring alfresco dining to central London. 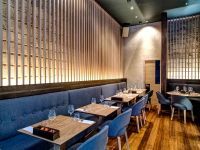 Blenheim Design have created an atmospheric fine dining environment with embodies a luxurious feel throughout the entire restaurant interior. 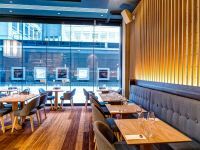 The warm ambience is achieved through use of soft indirect lighting and an earthy harmonious colour palette which offsets with luxurious brass and bronze metal detailing. 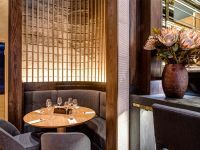 For such a large restaurant volume, which continues over two floors, Blenheim Design were able to experiment freely with a fusion of traditional Japanese elements, materials and techniques and modern surface textures and applications. 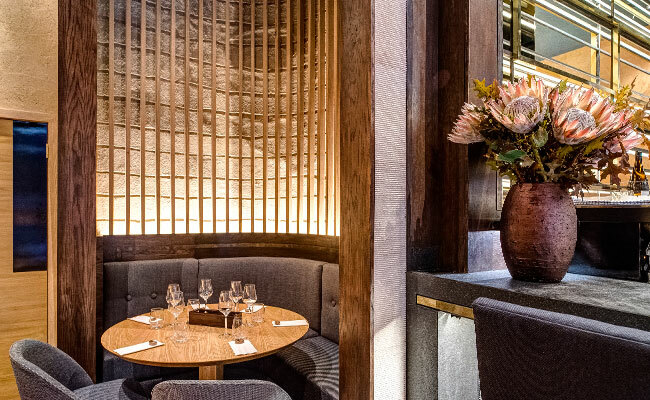 As you arrive and are greeted by the waiter you will notice the movement across the room, created by the varying cut textures of the plaster on the walls and the carved pale stone on the internal structures. 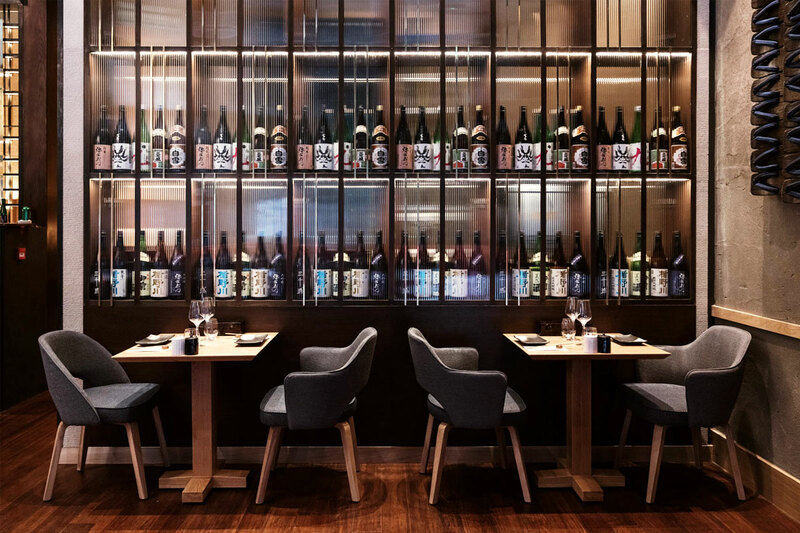 In contrast to this, behind the fixed seating is the use of full height thin oak timber strips, synonymous with traditional Japanese culture and the wall installation of traditional wooden footwear geta, at opposing ends of the restaurant. 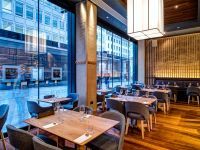 The joinery and furniture draws from the Japanese simplicity in design and the primary use of dark and light oak timbers, complimented with simple geometric patterned fabrics and a hardwearing traditional bamboo floor and raised ceiling feature. 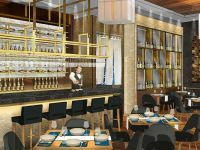 The bar area allows for a higher dining level and views over the restaurant. 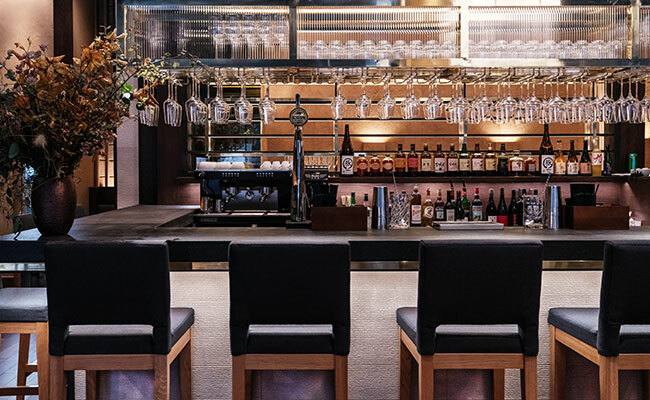 As the bar is centrally located, thus in turn means the other diner’s eyes are drawn to the elegant bar area consisting of textured black granite top and offset with a brass and bronze gantry. 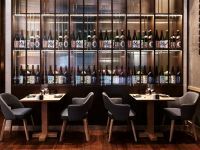 The rear bar utilises height height with a dark oak, inlaid bronze and brass detailing to the full height illuminated shelving feature. 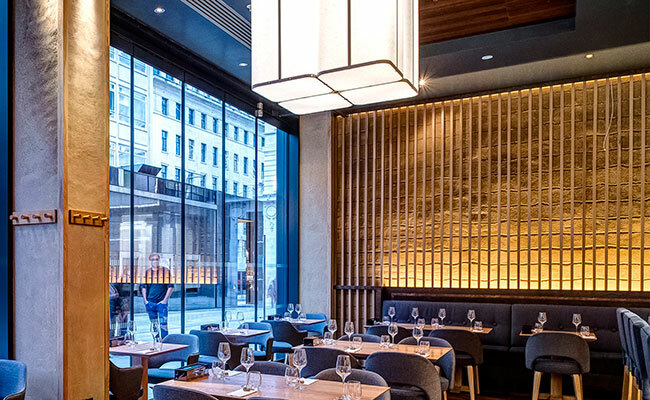 Lighting the high ceiling on the ground floor are bespoke pendant lights, these were specified to soften and unify the restaurant volume which is achieved by incorporating timber and the traditional Japanese art of paper making washi , which can also be seen lining the stairwell walls and lights like a cocoon. 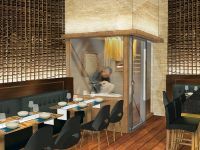 The washrooms are moody, with focussed lighting onto the Japanese raku feature tiles, the oak and brass elements around the vanity area and brass pendant lights in front of suspended mirrors.